As my oldest son's teammates move on to PeeWee hockey, one thing that's come into finer focus while watching them in their final practices and tune-ups before tryouts is the importance of coachability and, related, the need for parents to stop coaching their kids from the stands or on the car ride home. Once kids are turning 11, you can see a more rapid progression in development in some of the players and also the end of the line in others. It really starts to stand out. In the middle of those two groups are the puck chasers. 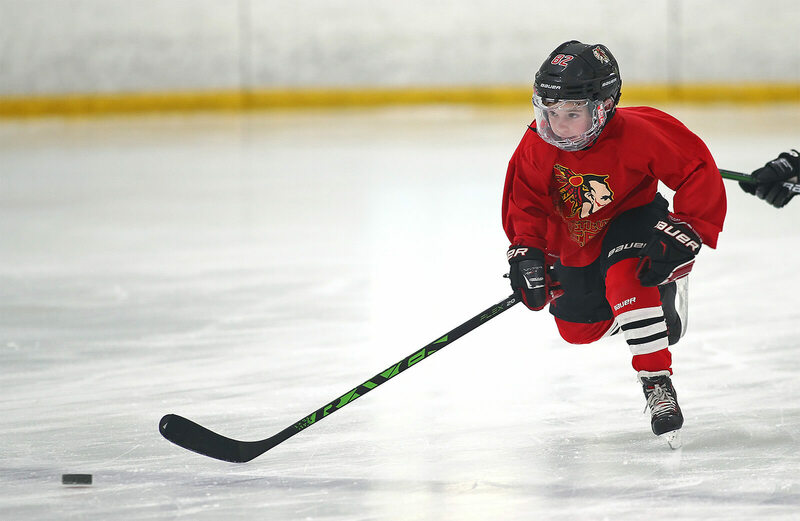 Kids that have tons of skill, tons of speed, and have scored a ton of goals as mites and squirts...but have absolutely no idea what they're doing out there. They simply chase the puck. I'm guilty of telling my own kids to "get the puck" because, as most hockey parents know, having the puck leads to a lot of success early on. A dozen or so parents in the stands that have told their kids to "get the puck" as they step out onto the ice is the primary reason mite hockey often looks like a swarm of bees. We all do it. The biggest, strongest, and fastest kids come out looking like superstars every single time with their proud parents patting themselves on the back as they unwittingly take credit for their children's perceived limitless talent. But that can't go on for too long...as those kids that have all the success early quickly become uncoachable players. "Getting the puck and scoring goals makes me a great player," is the thought. That's what's in their heads -- and then the parents validate it. Totally makes sense. But as the kids get older, and the number of lesser skilled players (to take advantage of) drop off, that style of play doesn't work. You need to play your position, in a system, to gain team success. 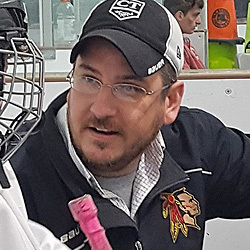 So, from the stands, you might be up there thinking your son or daughter is doing a great job attacking the puck, and maybe they even have a goal or two in the game, while also totally unaware that the coaching staff (or evaluators in a tryout situation) are seeing something completely different. They see a player that's lost. A player that has no idea where to be or what they should be doing...because they're fixated on chasing the puck. You'll never see a professional hockey player relentlessly chasing the puck all over the place. College players don't do it. Juniors players don't do it. Midgets don't do it. Bantams don't do it. Peewees don't do it. And neither should squirts. And all too often, on television, you hear commentators reference a player's hockey IQ or hockey sense, you know, a players ability to know where to be to either receive the puck or break up a play. Some of that is natural, sure, but I still say that's it's mostly coached. It's certainly not dumb luck. Kids that can be coached -- and follow the coaching that makes them better year over year -- can go the furthest. Great coaches teach the kids where to be in nearly every game situation. The best players, those with high hockey IQ, are the ones that can read the play quickly and get to where they've been coached to be. As they get older, a player's worth is more about their play without the puck than it is with it. Scoring goals isn't the be-all-end-all. If you can't figure out how to cover your section of the ice, offensively and defensively...you're going to sit on the bench. A lot. Doesn't matter how awesome you were as a mite. Really, far too many players peak at 10 years old because they don't understand it. Remind the kids -- listen to the coaches. And try your best to stop coaching them from the stands or in the car to/from games and practices. Having the puck isn't path to success.